The Affordable Care Act added the Physician Payment Sunshine Act (Sunshine Act) as section 1128G to the Social Security Act. 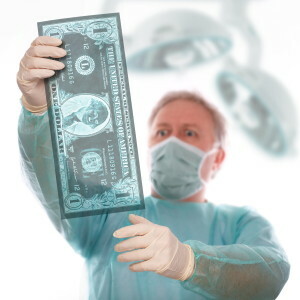 The Sunshine Act requires applicable manufacturers of drugs, devices, biologicals, or medical supplies and certain group purchasing organizations to report annually to the Centers for Medicare & Medicaid Services (CMS) certain payments or items of value that are provided to physicians and teaching hospitals. The Sunshine Act also requires CMS to publish payments reported on a public Web site. New regulations issued by the Center for Medicare and Medicaid services on November 16, 2015 change the way that services that are furnished “incident to” the service of a physician must billed. The new regulations provide clarification that the billing provider must be the provider that actually supervises the incident to service. Previously, regulations stated that the physician supervising the auxiliary personnel need not be the same physician upon whose professional service the “incident to”services base. The provisions in previous regulations that permitted another physician to supervise the incident to service have been removed. Now, the physician who is actually available and actually supervises must be the party whose billing number is connected with the incident to service. The service that is performed “incident to” the services of a physician can generally be billed at 100% of the physician’s rate under the Medicare fee schedule. However, supervision and billing standards must be complied with to avoid creating a compliance issue and potential overpayment. All providers must look at their billing policies and procedures to be certain that they integrate the new “incident to” billing standards into their compliance policies and procedures and appropriately implement the new standard through proper training of their billing staff, physicians and support staff. This is also a good time to refresh provider training on the extent of supervision that is required in various care settings. The Office of Inspector General of the Department of Health and Human Services release a new Fraud Alert on June 9, 2015. The Fraud Alert relates to physician compensation for medical directorships and other services and warns that the compensation arrangements under these arrangements must be at fair market value and must require legitimate services to be performed in return for that compensation. This is nothing new for those involved in physician compliance issues. However, the fact that the OIG chose this issue for a special Fraud Alert is significant in itself. Medical director compensation has gained the attention of governmental enforcers over the years with some high profile cases that have focused on fraudulent medical director arrangements. The compliance industry has tightened its belt on these issues; requiring strict adherence to policies and guidelines for medical director compensation. Clearly there is a legitimate need for health care providers to retain physicians to provide medical direction of various service lines. In fact, regulations require medical director oversight in many areas. Even where there is a legitimate need, it is necessary to carefully structure the medical director arrangement to be legally compliant. You may find your compliance officer of health lawyer advising even more restrictive structuring of medical director arrangements as a result of this Fraud Alert. The OIG uses Fraud Alerts to place emphasis on areas of concern. These issuance must be taken seriously and should cause providers to review their policies, procedures and contracts to assure that they are legally compliant and could withstand scrutiny by external government investigators. 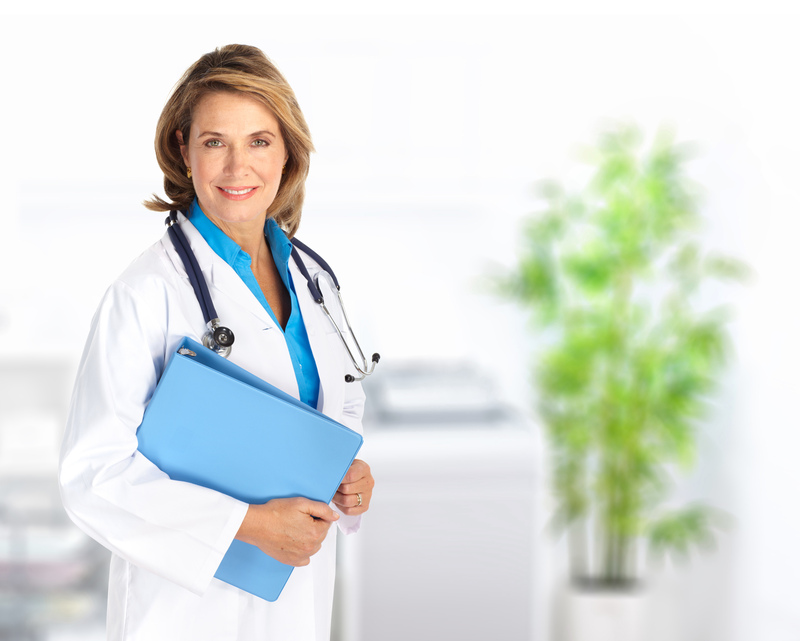 Specifically defining the precise services that are required of the medical director. Assuring that contracts are current, validly executed, and have not expired. Require regular logs to be provided by the medical director which detail the services that are actually performed. Require the service logs to correspond to specific duties that are described in the director agreement. Support compensation with external fair market value opinions. Cap compensation to assure that fair market value is never exceeded. These are just a handful of issues providers need to consider when entering these arrangements with physicians. For further details, contact your health care attorney or compliance officer. 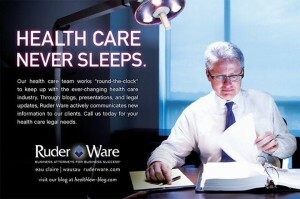 By all means, pull your medical director agreements off the shelf and make certain that they are legally compliant. You cannot assume that those arrangements will not be scrutinized by government enforces. See – Fraud Alert: Physician Compensation Arrangements May Result in Significant Liability June 9, 2015. Are There Limitations on the Protection? Both the Anti-Kickback Statute and the Stark Law contain exceptions that apply to employer/employee relationships. 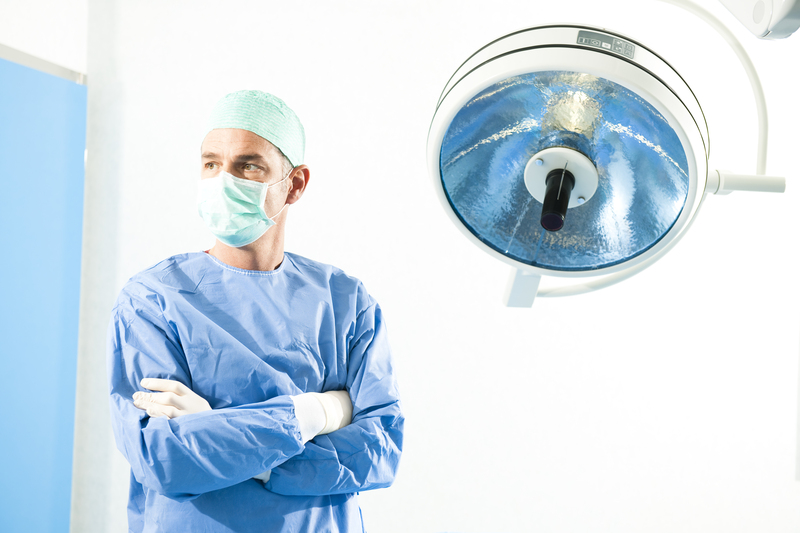 The Stark Law exception contains several additional requirements and limitations that vary based on whether the physician is an employee of the group practice, or of a hospital or other provider of designated health services. The Anti-Kickback Statute contains a fairly broadly worded exception which is generally been interpreted to exempt any remuneration made from an employer to a bona fide employee from consideration under the Anti-Kickback Statute’s criminal and civil prohibitions. However, close examination of the wording of the exception, together with recent case law, may begin to demonstrate some limitations on the protection that is provided by the Anti-Kickback Statute’s employment exception. Some of the limitations of the statutory exception may be included in the wording of the statutory provision itself. The employment exception states that “remuneration” does not include amounts paid for “employment in the provision of covered items and services.” On the other hand, a comparable safe harbor addressing employment arrangements that is included in the safe harbor regulation protects amounts paid to employee for “employment in the furnishing of” covered items and services. Historically, most attorneys reviewing the employment exception have assumed that it provides complete insulation for employment arrangements. This is contrary to statements from the Office of Inspector General which indicates that the scope of the exception may be more limited to payment for the provision of covered services rather than all payments. Strictly interpreted, the statutory protection may not apply to payment that is made to an employee for administrative or other types of services that are not covered services under the Medicare and Medicaid programs. This statutory language leaves open whether payment for services that are not covered services are included within the Anti-Kickback Statute’s exception. There is no answer to this question as there has been no further interpretation or case law. It is worthy to note however, that there could be limitations to the employee exception which should be considered when structuring arrangements; particularly when those arrangements could be abusive except for the fact that payment is being made to an employee. Referral Requirements – Can Employed Doctors Be Required to Make Referrals? The Stark Law Regulations include a provision that dictates the conditions under which the employer of a physician may mandate referrals for designated health services. Certain specific conditions must be met if an employer wishes to require and employed physician to make referrals to its designated health services. The Stark regulations provider that a physician’s compensation from a bona fide employer or under a managed care contract or other contract for personal services may be conditioned on the physician’s referrals to a particular provider, practitioner, or supplier, provided that the compensation arrangement meets several specific conditions. – The physician’s compensation must be set in advance for the term of the agreement. – The physician’s compensation must be consistent with fair market value for services performed (that is, the payment may not take into account the volume or value of anticipated or required referrals). – The arrangement must otherwise comply with an applicable exception under Sec. 411.355 or Sec. 411.357. – The arrangement must meet the following conditions: (A) The requirement to make referrals to a particular provider, practitioner, or supplier is set forth in a written agreement signed by the parties. 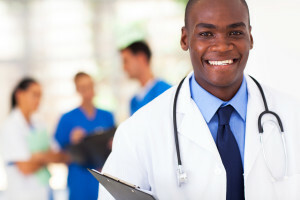 (B) The requirement to make referrals to a particular provider, practitioner, or supplier does not apply if the patient expresses a preference for a different provider, practitioner, or supplier; the patient’s insurer determines the provider, practitioner, or supplier; or the referral is not in the patient’s best medical interests in the physician’s judgment. – The required referrals relate solely to the physician’s services covered by the scope of the employment or the contract, and the referral requirement is reasonably necessary to effectuate the legitimate business purposes of the compensation arrangement. In no event may the physician be required to make referrals that relate to services that are not provided by the physician under the scope of his or her employment or contract. Posted in Anti-kickback Statute, Physician Employment Issues, Physicians and Group Practices, Stark Law and Self Referral | Comments Off on Referral Requirements – Can Employed Doctors Be Required to Make Referrals? Physician supervision rules in hospital outpatient departments have continually changed over the past five years. Those who have followed these rules cannot help but wonder whether CMS is somewhat schizophrenic on this issue. Hospital supervision rules have been like a moving target, making compliance difficult to track and to communicate to front line physicians and staff who must comply with these changing rules. Services of a therapeutic nature are often performed by physician extenders in a hospital department and are billed “incident to” the physician’s services. Historically, direct supervision was required to enable the service to be billed as “incident to” the physician’s services. The direct supervision rule generally requires the physician to be “immediately available” to assist with and direct the service. This does not necessarily require presence in the same room where the service is being delivered. The precise requirements that must be complied with in order to meet the “direct supervision” requirement is where CMS has given us a moving target for compliance purposes. In the 2009 OPPS Rule, CMS provided what it considered to be “clarification” of its rules. To most providers, the CMS guidance actually amounted to a change of position that required changes in their supervision policies. 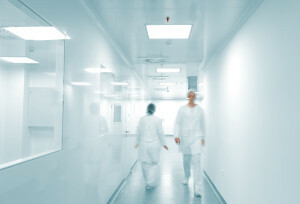 Before the 2009 “explanation,” many providers structured their compliance efforts under the assumption that they were not required to have a physician physically present in an outpatient department to meet the direct supervision requirement. The 2009 “clarification” indicated that physical presence of a supervision provider was required. The 2009 comments lead to much criticism from the provider community. This resulted in further changes in the 2010 OPPS Rule that made it sufficient for the supervising physician to be present on the same campus and immediately available rather than requiring physical presence in the department. Off campus clinics and departments were still required to meet the more restrictive physical presence requirement. Physical presence of off campus departments required actual physical presence in the space that is designated as the department. The supervising physician would not meet this standard even if they were located in the same building but not in the departmental office suite. Although the 2010 rules answered some of the open questions, the rules had a huge negative impact primarily on smaller hospitals and particularly those located in rural areas. Small hospitals were required to meet the physician “physical presence” requirements even when there was no other activity requiring physician presence. This necessitated small hospitals to incur costs to meet the “incident to” supervision requirement even when physician presence was not otherwise required. At least partly to address the “small hospital” issues, the 2011 OPPS Rule made significant changes to the physician supervision requirement. The “on the same campus” rule was abandoned in favor of a rule that focused more on the general “availability” of the physician. The 2011 rule eliminated many of the specific physical location requirement but still maintained the more general requirement that the physician be “immediately available to furnish assistance or direction throughout the performance of the procedure.” The standard requires the physician to be immediately available and interruptible. The rule also opened the door for the physician to be available by telemedicine to meet “general” supervision requirements. The 2011 rule also identified certain services for which direct supervision is always required for the initiation of the services. Services covered by special supervision requirements includes a limited listing of non-surgical and extended duration therapeutic services. These services include certain injections, infusion and observation services. Chemotherapy is not included in this listing. These services are services that can have a longer overall duration and have a low risk of requiring physician involvement after the service is initiated. The 2011 rule set up a panel to evaluate specific therapeutic services to determine the appropriate level of supervision. The 2012 OPPS Rule formally designated the panel as the body that reviews and recommends changes in supervision requirements relative to various therapeutic services. The 2012 rule also took steps to assure that critical access and rural hospitals were represented on the panel. The panel is authorized to recommend levels of supervision that are lower than “direct supervision” for specific services. The panel does not have the ability to directly enact regulations or make policy changes. Its role is limited to that of advising CMS on these issues. At the present time, the hospital outpatient supervision requirements currently must meet the “general” supervision requirements. The service must be performed under the overall direction and control of the physician. The physical presence of the physician is not required during the performance of the “incident to” activity. In cases where personal (as opposed to general) supervision is required, the actual presence of the physician is required in the room. Some services only require physical presence at the inception of the service and have been found to not create a risk during the ongoing stages of the procedure. All hospital outpatient therapeutic services are deemed to be provided “incident to” the services of the physician. The level of supervision required in the case of these types of services (personal or general) is based upon CMS determinations following review by the panel as indicated above. So, now that we are all clear on the rules, (insert sarcasm emotion here), can we expect them to change again the future? Certainly the panel process will be reflected by different rules for specific therapeutic items. Additionally, given the history of this requirement, no one would be surprised if further changes are in our future. Assessing Whether an agreement complies with fair market value is one of the most difficult compliance functions that exists. 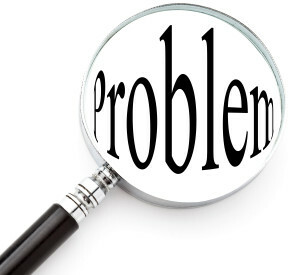 Other issues have relatively clear answers; either something was billed correctly or it was not; adequate documentation to support the services that are billed either exists or it does not. But fair market value determinations are largely a subjective determination. Fair market value appraisals, particularly in the health care industry, involve more of an out than a science. Survey data is skewed against “small hospital” physicians. 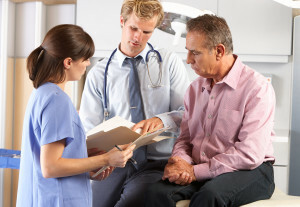 Appraisers who are not familiar with the unique value that is provided by these physicians will often inappropriately assign benchmark amounts based only upon primary care. This overlooks the true practice mix of these providers. These providers are often longtime fixtures in the community. They are the real face of the local health care community. Often these physicians have practiced in the community for 20 plus years. At some point someone may suggest (quite appropriately I may add) that the physician’s salary be reviewed based on fair market value screens. If appropriate judgments of true value are not made, these valuable physicians will almost inevitably be found to be compensated above fair market value. Is this because these physicians are paid too much or are out of compliance with the Stark Law? I would argue vociferously that this is not the case. Sure, there could be some instances where the physician is engaged in an ongoing referral scheme. In most cases however, you would expect that these physicians would be well paid based on their longevity, experience, diverse services, expanded role, and importance to the community. If you add to this mix the fact that it may be nearly impossible to replace the physician because of this remote or rural nature of the area that is served, justification for compensation well over the highest benchmark percentage is often very justifiable. The medical appraisal business is not easy. Sometimes it is even more difficult because of the need to deviate from benchmarks and use judgment to arrive at a result that would accurately reflect value. Appraisers are paid for the appropriate exercise of their judgment. If the process was based simply on the calculation of compensation based on strict conformity to benchmark data, there would be no real need to pay for an appraisal. Fair market value would simply be a matter of math. Appraisers are not trained in the skills of math. It is assumed that they have the necessary basic math skills. Physician compensation appraisers are paid for the appropriate exercise of their judgment. This judgment requires a weighing of all necessary factors and a subjective placement of value on these factors. Governor Walker has signed into law Assembly Bill 139. The law changes physicians’ obligations to provide informed consent prior to providing medical treatment. Wisconsin Assembly Bill 139 amended Wisconsin Statutes 448.30 to clarify the standard that a physician must meet when obtaining informed consent from a patient. The Bill was introduced in reaction to the Wisconsin Supreme Court’s Jandre decision which employed a “reasonable patient standard” to determine whether a physician has fulfilled his or her duty to obtain informed consent. Under the reasonable patient standard, a physician was required to disclose information necessary for a reasonable person in the patient’s position to make an intelligent decision with respect to the choices of treatment. Assembly Bill 139 changed the focus of the informed consent standard under Wisconsin law from a “reasonable patient” standard to a “reasonable physician” standard. The Bill provides that the reasonable physician standard requires the disclosure only of information that a reasonable physician in the same or a similar medical specialty would know and disclose under the circumstances. The Bill also provides that the physician’s duty does not require the disclosure of information about alternate medical modes of treatment for conditions that the physician does not believe the patient has at the time the physician informs the patient. You are currently browsing the archives for the Physician Employment Issues category.